This one’s for you sci-fi fans. The star portal patten is very futuristic and evocative of so many futuristic films. 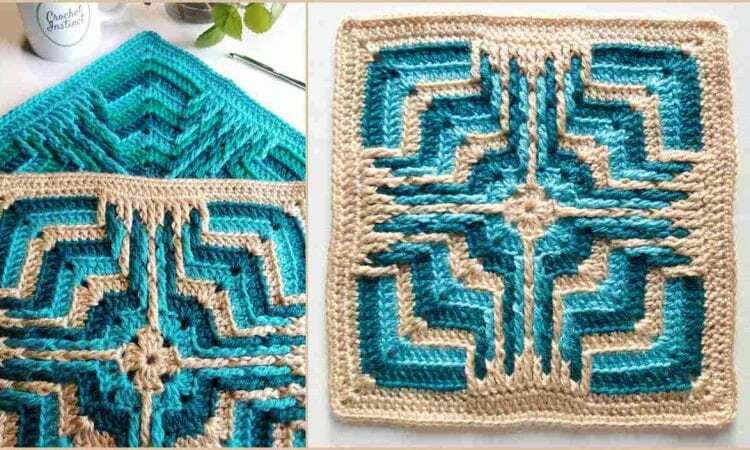 The pattern would look great as a repeating motif in an afghan, or a focal point in a plain one (i.e. off to the side, to make it look like an activator of some kind). Done in blue, the portal signals it’s ready, done in red, no go. The possibilities are endless. Star Portal Square used an overlay or surface crochet technique. A link to a free pattern is at the end of the post.